The unstoppable season that never was has lost another talented piece. The Duke Blue Devils were expected to tear college basketball apart after bringing in four top recruits. They ultimately failed to do so, losing in the Elite 8 to Michigan State and falling short of their championship goals. They had one shot and one shot only, as another talented member of this team is bidding college goodbye in search of professional dreams. 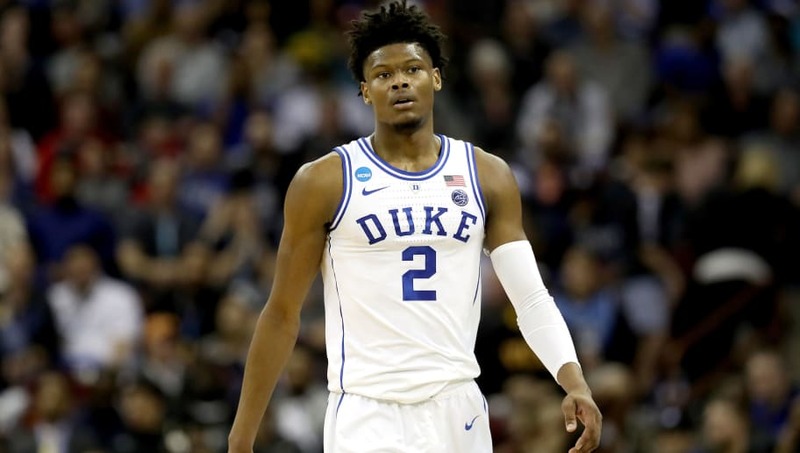 Cam Reddish has announced he's declaring for the NB Draft. This wasn't a surprise by any means, but still worth noting for the lottery teams in this summer's draft. Reddish is an extremely intriguing prospect. He looked like a monster coming out of high school, but struggled at times as the third banana in the Duke offense. Reddish finished his collegiate career with 13.5 points per game on 35.6% shooting, adding 1.9 assists and 2.7 turnovers per contest. He was once deemed as a top-five pick, but his struggles will likely put him in the six-to-nine range depending on workouts and how the lottery order shakes out. Reddish is not alone when it comes to Duke stars abandoning the program after one year, with RJ Barrett announcing he was declaring for the draft yesterday. Looks like​ Tre Jones will be more or less alone next season (unless Zion Williamson shocks the world and stays at Duke).